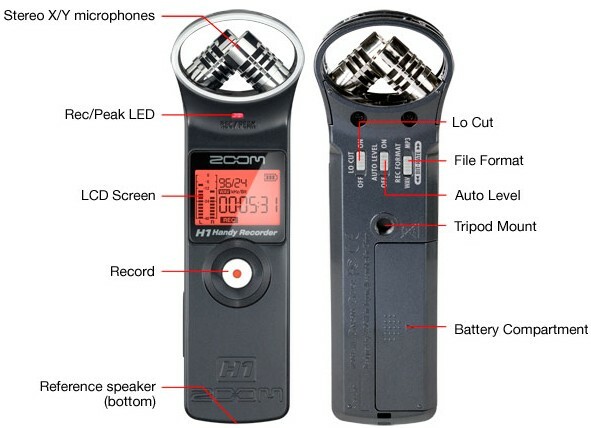 With a hugely competitive price to tempt amateur bloggers, struggling musos, journos and even those odd people who like to go around recording random things, the Zoom H1 offers professional quality audio recordings for under 90 quid ($99 in US). 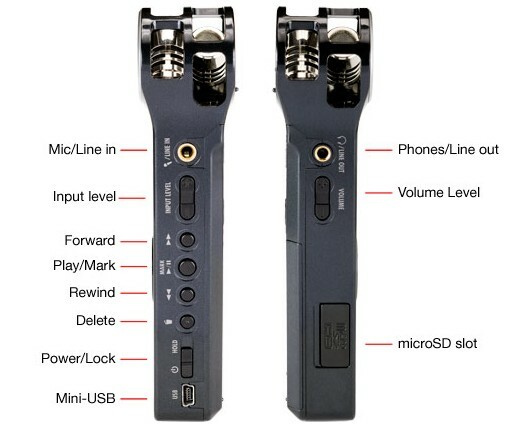 The Zoom H1 strips things down to the essentials, foregoing the frills of fancy-pants flourishes like 4-channel recording and triple-capsule mics, and serves up a no-nonsense stereo X/Y stereo recorder capable of saving high quality 24-bit / 96-kHz audio. Battery life on a single AA cell is quoted at a generous 10 hours of continuous operation, with the H1 able to take microSDHC cards up to 32GB for storage. The unit is small enough to slip in a pocket (so bootleggers are going to love it! ), and there’s enough physical controls on the unit to make it nifty to use. It looks great value to us (shame about the dodgy US/UK exchange rate hit though). 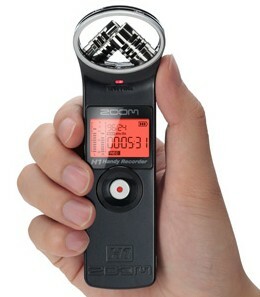 The Zoom H1 Handy Recorder will be available ‘everywhere’ on July 30th. More info here: http://zoomfx.com/h1. Thanks for posting this bit of news. £89 is very cheap. For outdoor use it will need a windshield to cover those mics. Roland have a cheapish recorder out shortly, the R-05, to be priced around £180. It’s a down-specified version of the popular R-09HR recorder.